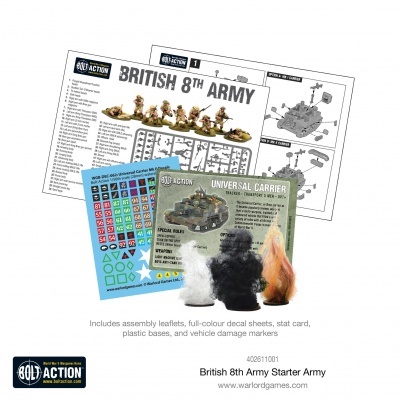 This boxed set gives you all you need to start playing with the forces of the British Commonwealth in the scorching, dust-filled desert of North Africa and beyond. 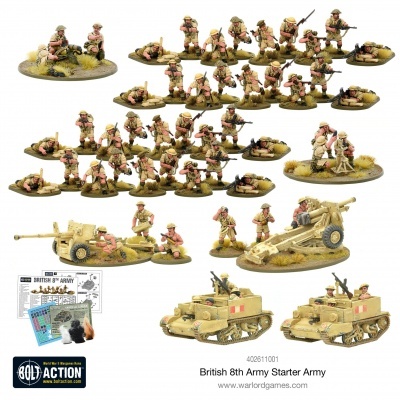 Providing a strong core of infantry, support teams and the ubiquitous Bren Carrier transports this set is perfect for replaying legendary battles such as El Alamein and Tobruk. 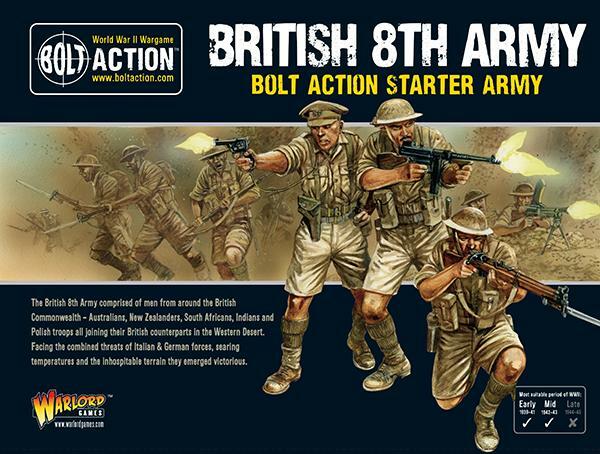 Will your Desert Rats prevail against the combined fascist forces of Italy and Germany?